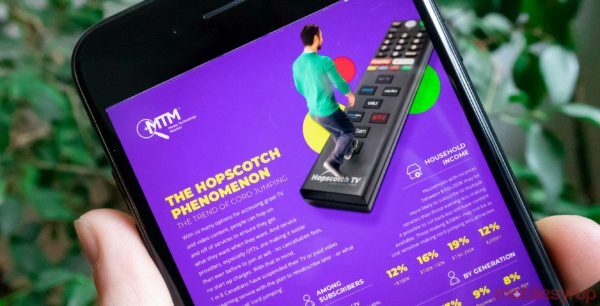 The Media Technology Monitor (MTM) has released a new report expanding on the Canadian habit of jumping back and forth between traditional TV and video streaming services. According to the report, one in eight Canadians have stopped or suspended their television subscriptions — traditional or streaming — to switch over to a different media service, with the plan to switch back at some point. The MTM calls these people ‘cord jumpers,’ reporting that 12 percent of traditional television subscribers fall into this category. Canadians who’ve cut the traditional television cord completely are people who watch ‘TV my way.’ Of these people, 19 percent are cord jumpers. The MTM reported that cord jumpers typically watch linear television three hours fewer than non-jumpers. Jumpers also spend more time online watching online content platforms like Netflix. The report further stated that Canadian households with incomes between $100,000 and $200,000 are likely to subscribe to more than one television service, making it easier for them to cut one cord and still have content to consume. Millennials are the largest generational cohort to cord jump with 19 percent of them leaping. A fair 13 percent of gen X-ers also jumped. Only nine percent of baby boomers and eight percent of people from the golden age cord jumped.